Alert! 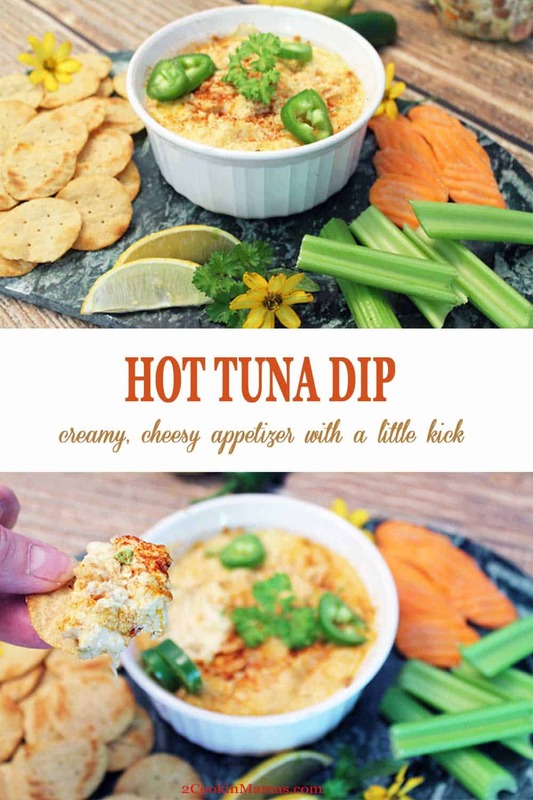 This Hot Tuna Dip is addictive! 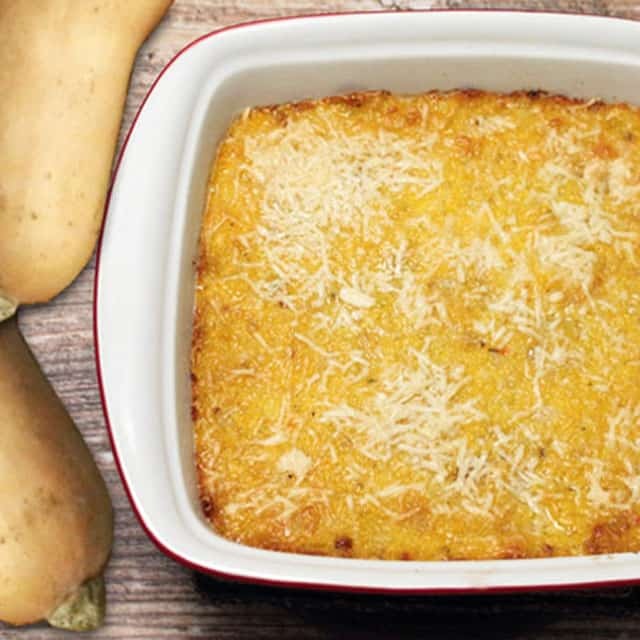 Creamy, cheesy and easy to make it’s the perfect appetizer for get-togethers. Chunks of tuna, gruyere cheese and a hint of heat will have guests begging for more. 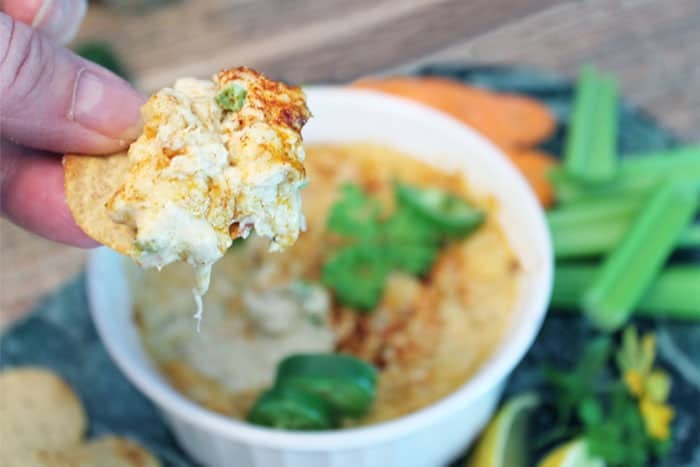 Nothing is better for the finals of March Madness, or any get-together for that matter, than a deliciously creamy and cheesy, with a little bit of spice, hot tuna dip. 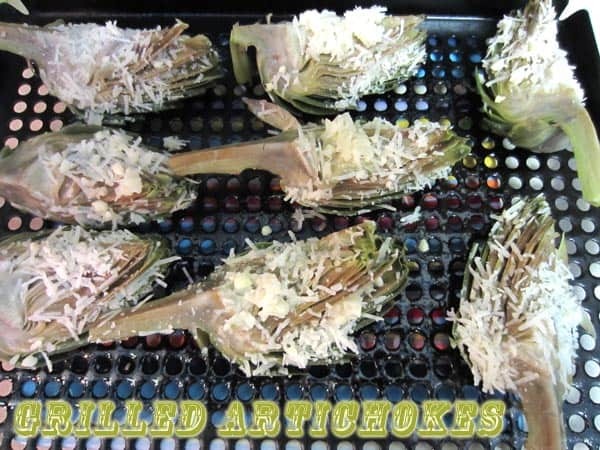 I have some friends coming over for the games this weekend and was wondering what to serve for nibbles. 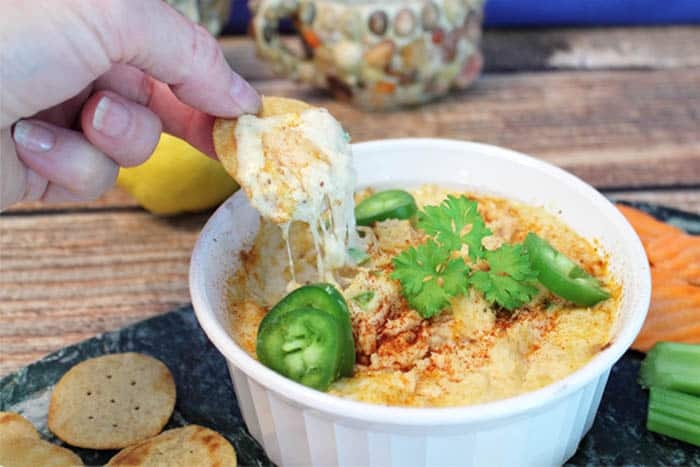 After searching through my pantry I spied a few cans of tuna and my husband piped up with why not make a dip like the crab dip we used to order every time we went to Legal Seafood. What a brilliant idea! Thanks hon! Time to experiment. 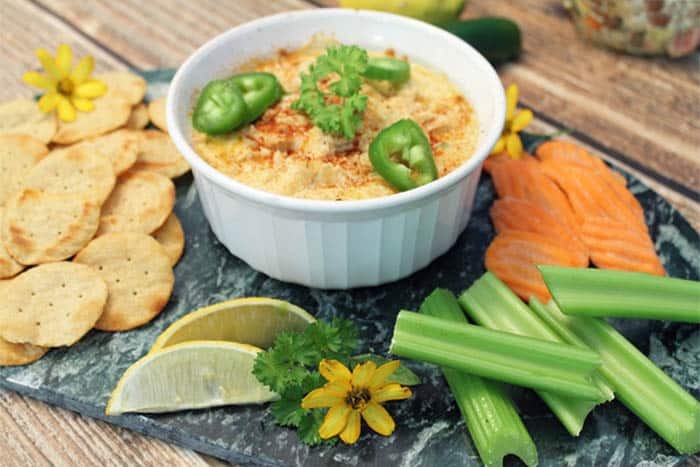 As fish dips are everywhere in Florida and among our go-to appetizers, I based part of the recipe on our favorite Florida Keys Smoked Fish Dip. 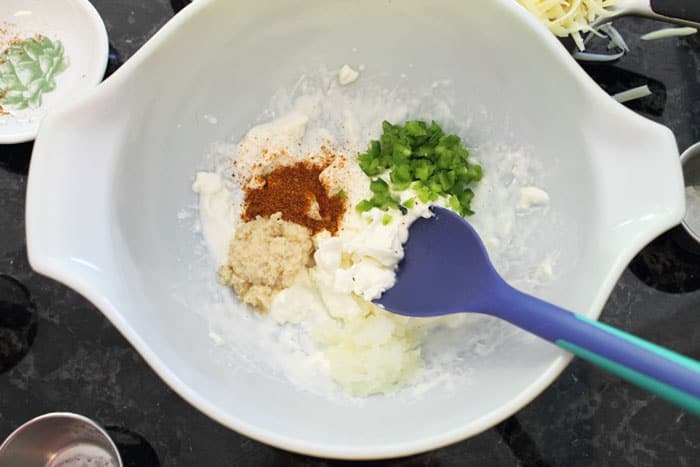 I decided Old Bay seasoning and onion were a must to add and, since fish dips are usually served with jalapeno slices, I incorporated them into the mix as well. Deciding on the cheese to use was a little tougher. I wanted it to be creamy, melt easily, and also pair well with the tuna. I know Gruyere compliments tuna since I use it to make my Gruyere Tuna Melt, so decision made. And the best part, Gruyere melts fantastically and tastes great with a little added spice too! To add a little more creaminess, cause there’s never enough creaminess, I threw in some cream cheese and a little cream, stirred it up and popped it into the oven. Fingers crossed! Once out, I dusted it with a little smoked paprika, a few jalapeno slices, and served it with light puffy type crackers (I like Good Thins), celery sticks and carrot chips. OMG, was it ever delish! Hot, creamy, spicy and perfect. Just look at that ooey gooey cheese! Hey, stop eating until I get there! Gotta go …. ! Alert! Our Hot Tuna Dip is addictive! 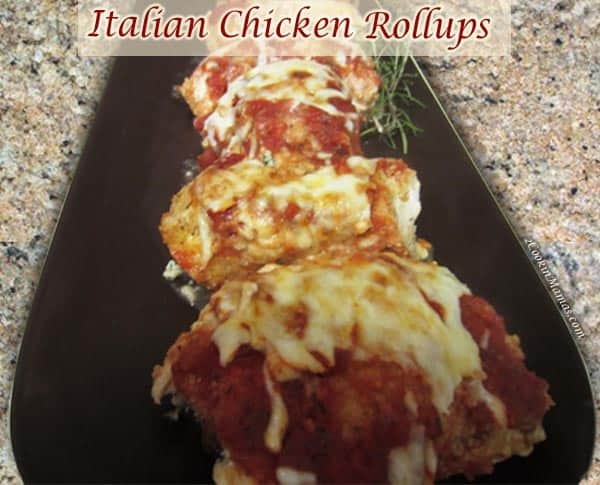 Creamy, cheesy & easy to make, it's the perfect party appetizer. They'll be begging for more! Preheat oven to 350 degrees. Spray a small baking dish with nonstick spray. In a medium bowl, mix the cream cheese and cream until smooth. Add all spices, onions, jalapeno and cheese and stir well. Squeeze a little lemon on the tuna then fold into mixture. Bake for 15-20 minutes or until bubbling hot. Serve immediately with your preferred garnishes and dippers. Such a unique snack, my family loved it at our potluck! Yay! Love to hear that. And it’s so easy to whip up any time. 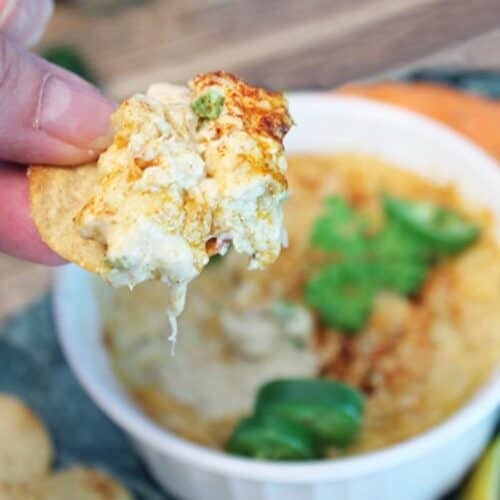 This is such a delicious dip, I can’t wait to make it again! So glad you liked it! It will be perfect for all those March Madness get-togethers.